If you find yourself wishing you had an all-inclusive trailer to use on your outdoor adventures, then you need to check out this Sunset Trail Super Lite travel trailer. 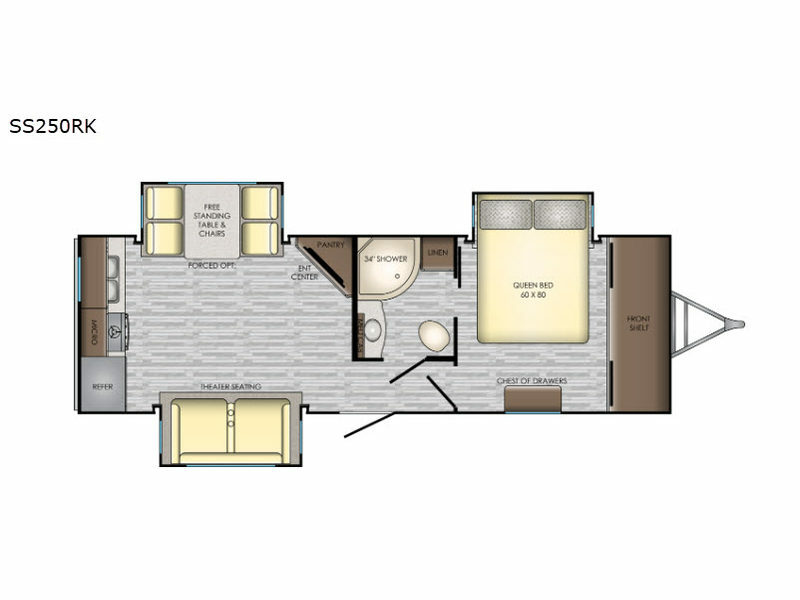 With its private master suite that houses a queen-size bed and private bathroom entrance, this trailer exudes luxury. The three slides that have been included in this unit add extra space for everyday living, and the 34" radius shower that has a skylight above creates a spacious and bright feeling as you get ready each morning.